If you’re an agency or designer that needs to have email signatures produced (and supported) for a client, you’ve come to the right place. We’ll assist you an a way that will make you shine with your client! 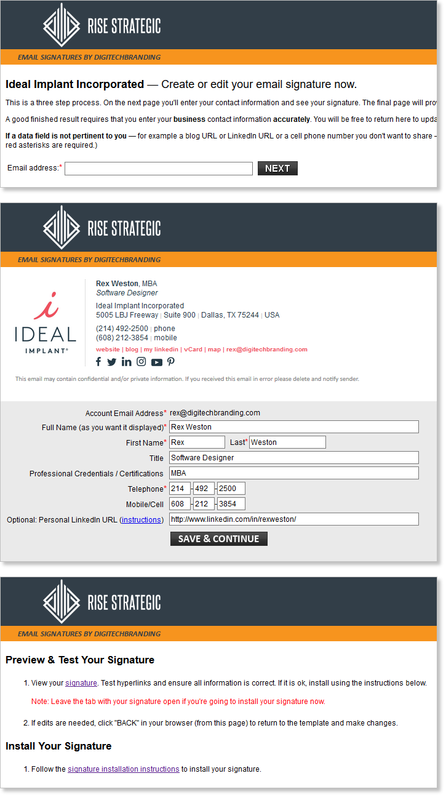 The result was that Rise Strategic was able to provide their client with a finished solution that exceeded their expectations, in a timely and cost-effective basis, all while knowing that they had the support of premier email signature experts to back up their deliverable.